Hello There and thanks so much for stopping by! 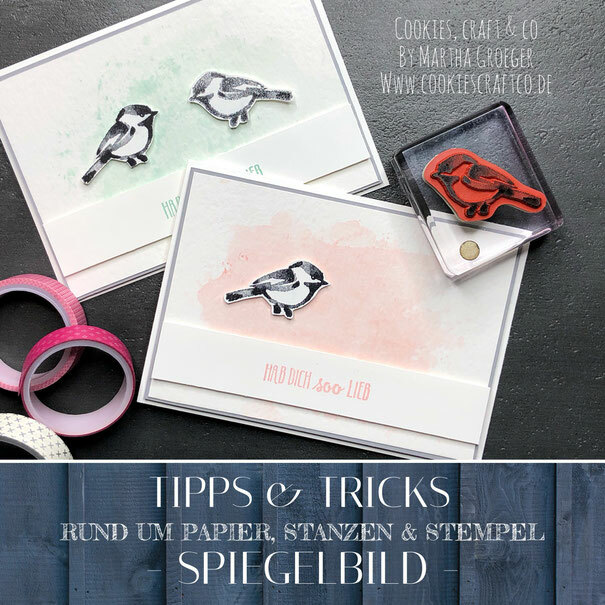 Welcome to the Crazy Crafters Blog Hop with our special guest Martha Groeger from Cookies, Craft & Co. We will all be CASING - (Copy and Selectively editing) Martha's work today. 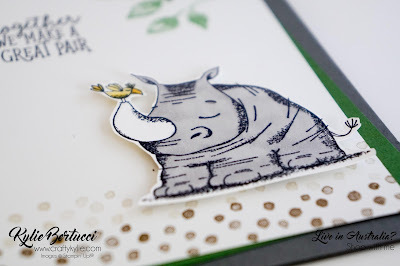 What I love about Martha's cards is they have lots of beautiful white space. Not much clutter at all and very subtle. I wanted to use a new stamp set that I was given at Onstage a few weeks ago. 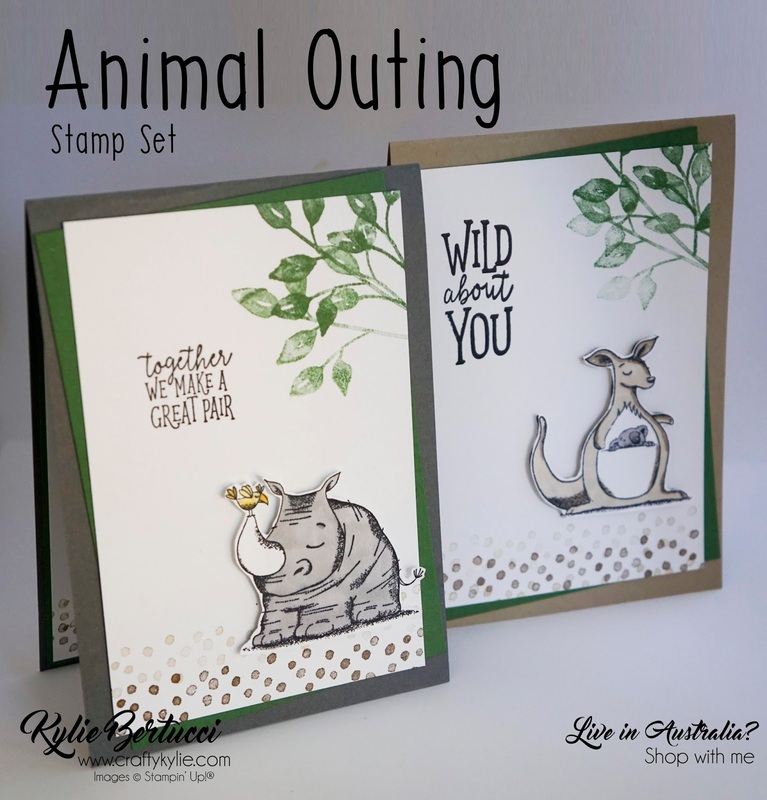 It is called the Animal Outing Stamp set. I am so excited about this stamp set as it has an Australian Kangaroo and Koala! 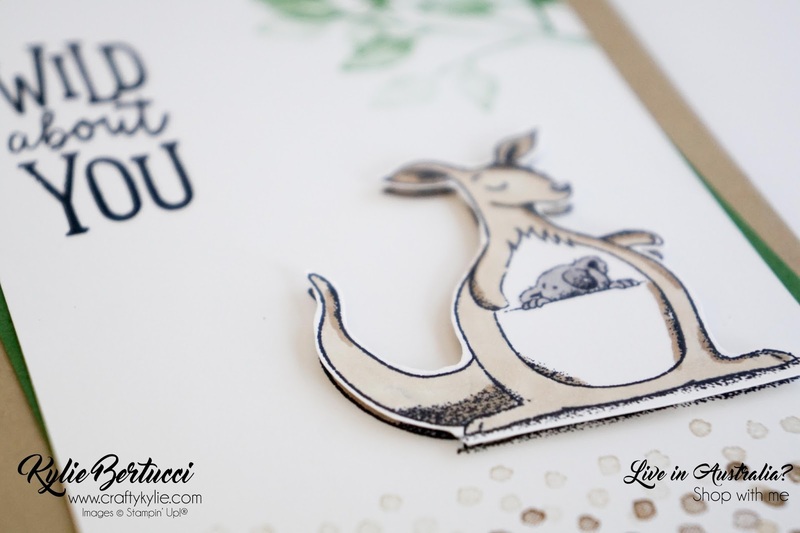 Perfect for sending to our international friends. 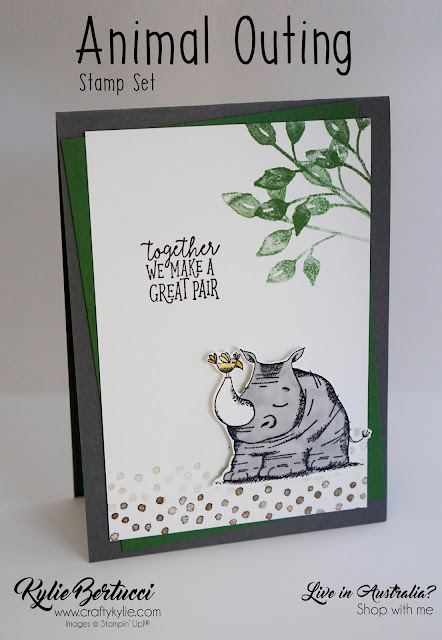 The "ground" and the "trees" I used the same stamp set that Martha used for her cards above - the Petal Palette Stamp set. I love it when you can use a stamp set in a completely different way. 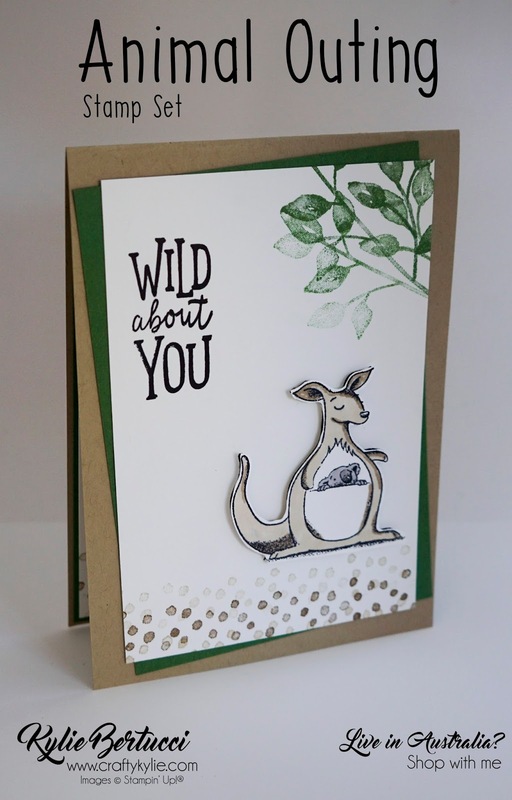 Here is the super cute Australian Kangaroo with a KOALA in its pouch. AWWWW so adorable!! I totally love this set. I left plenty of white space like Martha does on her cards. As I said at the outset - the products used are not available to order right now. 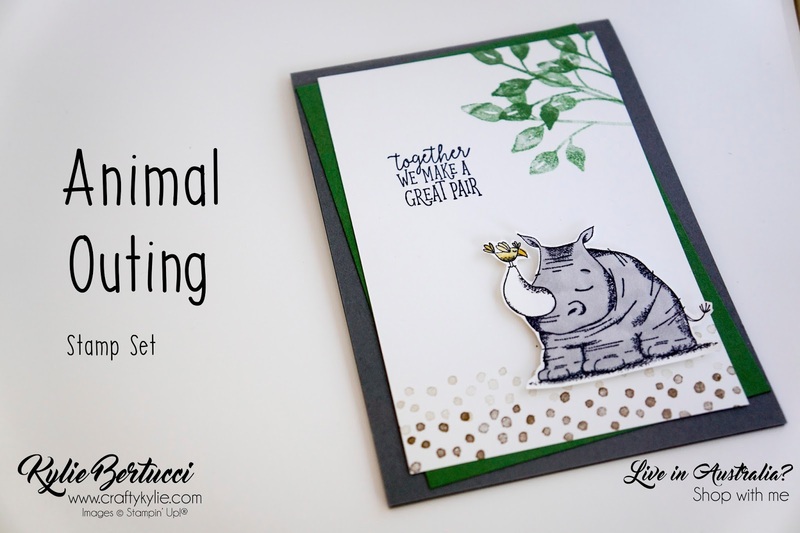 The best way you can get your hands on them is to join my team and as a demonstrator, you can pre-order all of the products used in the card (and more) from May 2nd. Aren't those stamps adorable! I'm in love with this stamp set. 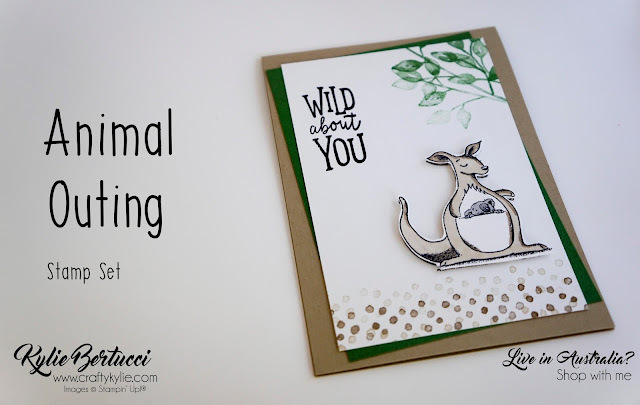 Awesome cards Kylie! So fun and cute. I can't wait to get my hands on this set. It's so so cute!! You are going to love it Kirsten. Lovely cards! That stamp you’ve used for the ground work is just awesome, nicely picked out! Love this card, just ordered this set this morning.... can’t wait! !